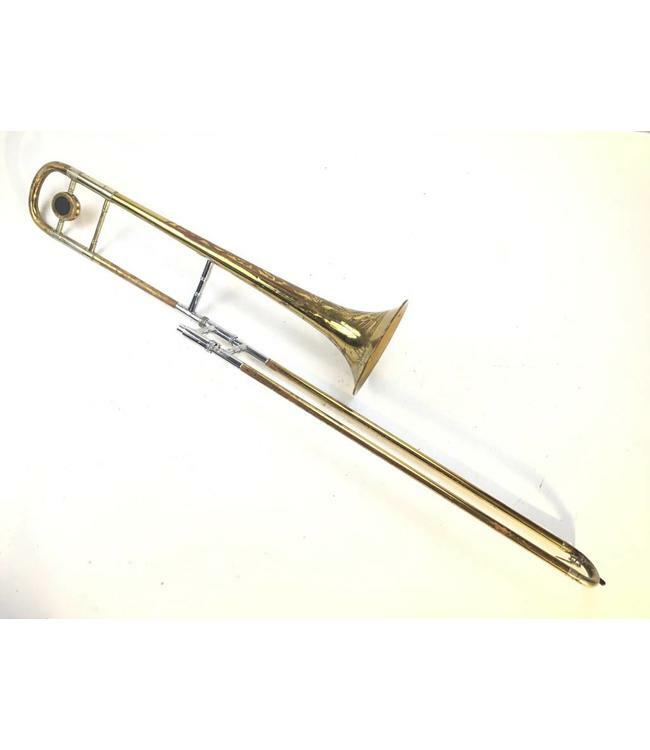 Used Conn 4H "Artist" Professional Bb Lacquer Tenor Trombone . .485" bore hand slide, 7" bell flare. Instrument has heavy Lacquer wear and scratches throughout, with signs of previous bell repair and tuning slide repair. There are also a couple of small spots of plating wear on the stockings . Comes with case.